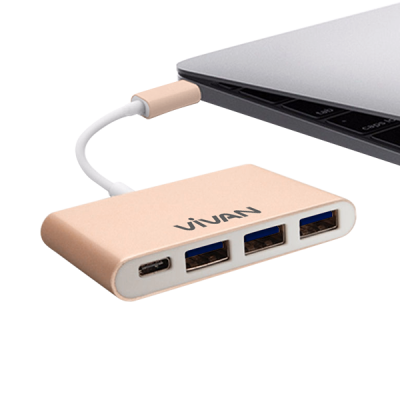 Vivan USB Type-C HUB with USB 3.0 Type-A port gives you connectivity with your external peripherals, such as portable low-power hard drives or a full size keyboard and mouse. The USB-C power port means that you can charge your laptop while using this adapter by connecting your original USB-C charger, rather than draining its battery as happens with other adapters. 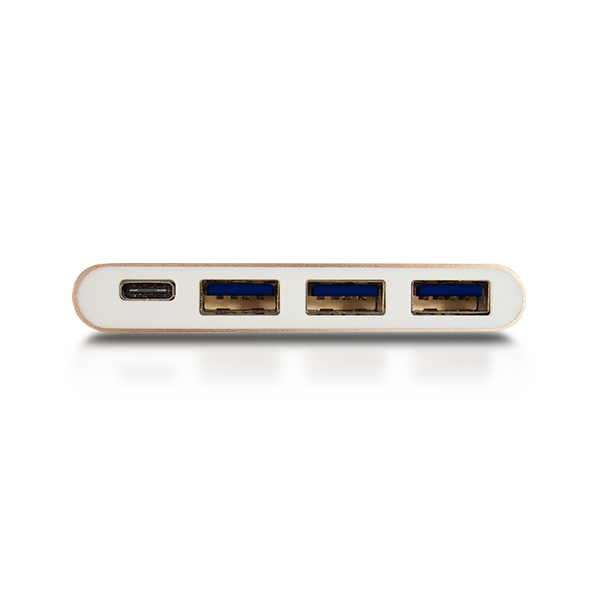 USB Reversible Type-C USB 3.1 designed to plug in any orientation and no external software drivers needed. The Type-C charging port by Power Delivery (PD) supports 20V/5A Max input, which can keep charging your MacBook or Chromebook while using the hub. 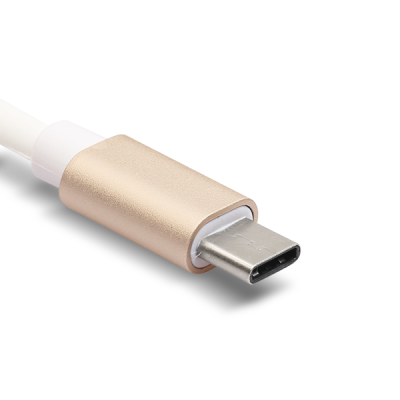 Super-Speed USB 3.0 allows for up to 5 Gbps of data speed WHICH IS 10 times faster than the USB 2.0 and downward compatibility with the USB 2.0 as well. You can smoothly stream HD 1080p movies directly from any USB HDD or thumb drive, or transfer the entire movie file to your local drive in just a few minutes. Made from aircraft grade Aluminum alloy, the hub is lightweight yet durable enough to withstand years of wear and tear. Its polished silver color will nicely complement your Apple Macbook and other laptops. 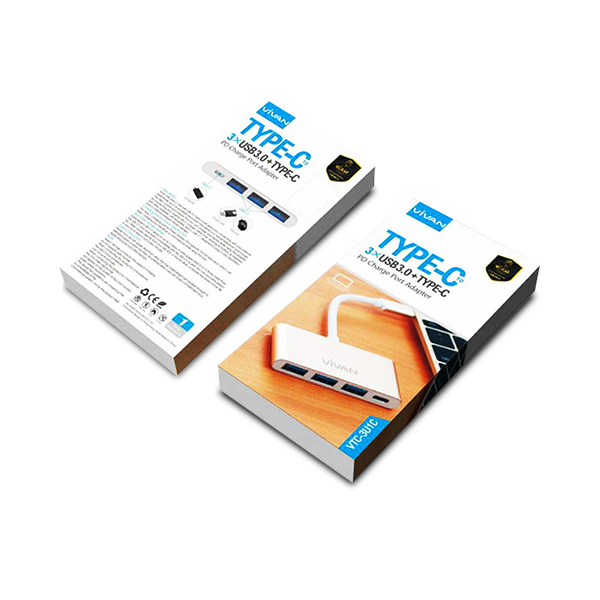 Type-C female connector only support charging, do not support data transfer. 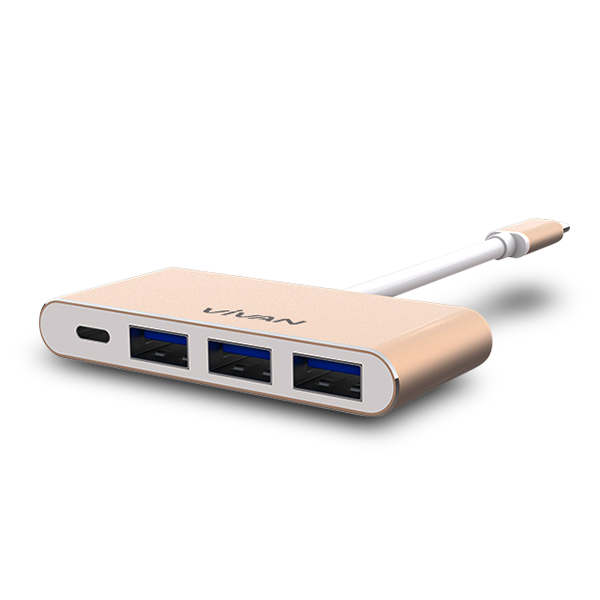 When connecting this product to Chromebook, the USB3.0 port sometimes cannot work normally. When connecting this product to Chromebook, the VGA video signal may not appear on the screen of the VGA monitor under certain resolutions. The above two problems are caused by the incompatibility of the Chromebook system, not by the product itself.